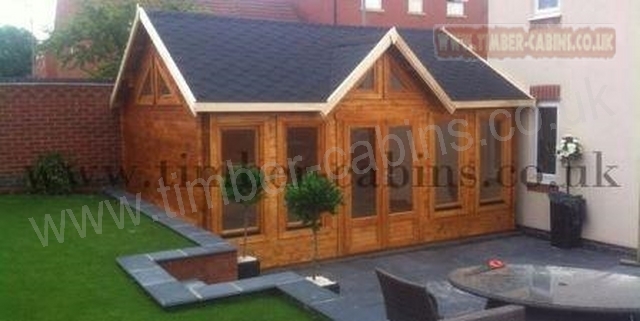 Elegant clockhouse log cabin designs. 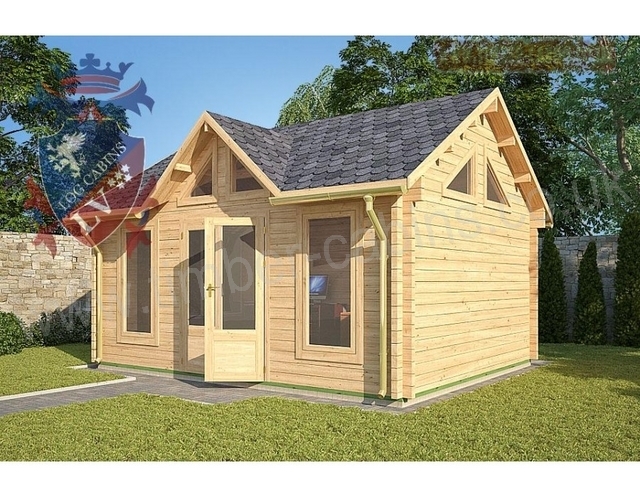 The Amarusko clockhouse log cabin is designed with a low level roof to meet the regs for a 2.5m max height to the cabin ridge. 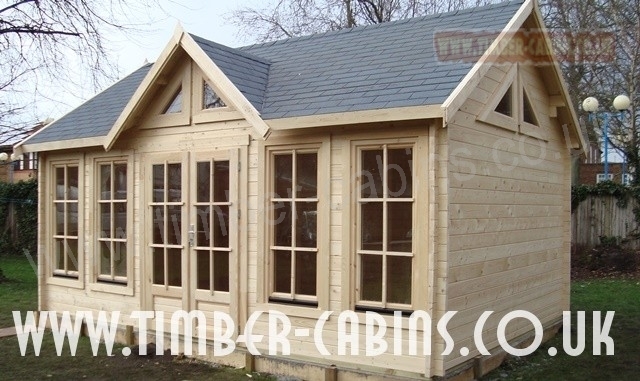 The Aurora has triangular windows to the apexes of the log cabin for extra light. 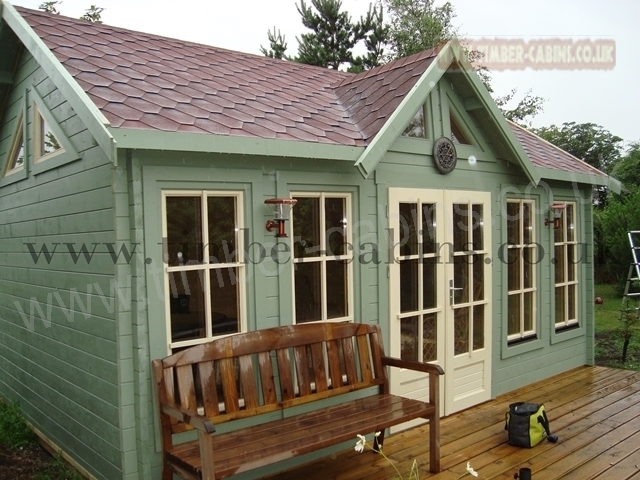 The Grand Aurora will make statement in any large garden. 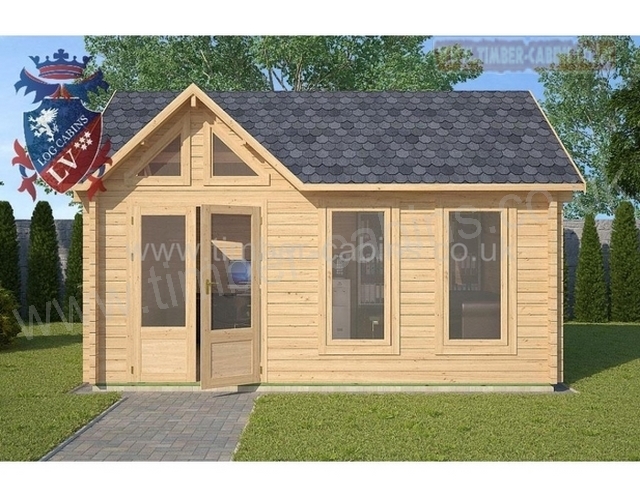 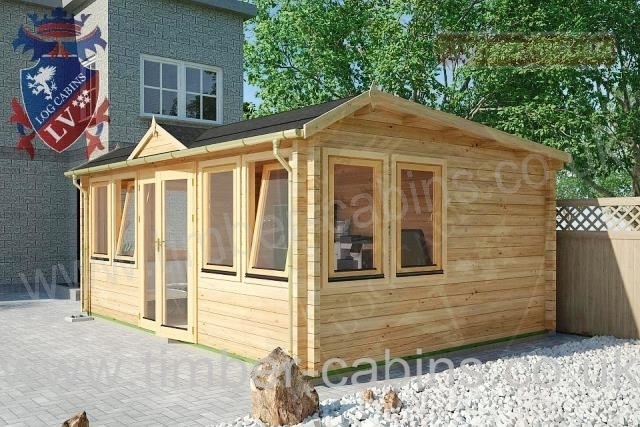 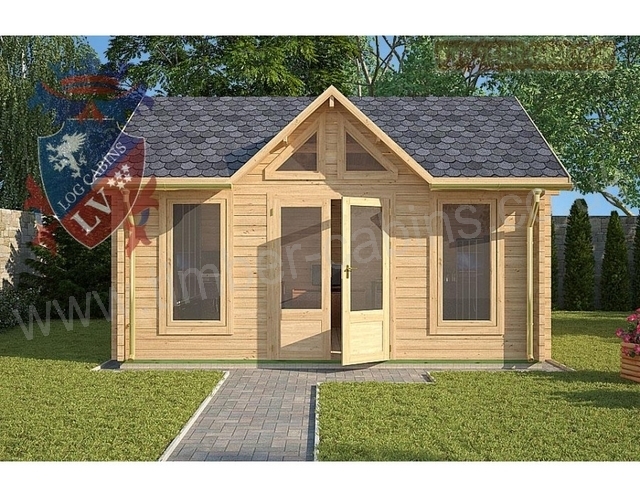 A special design Aurora clockhouse log cabin with an offset gable. 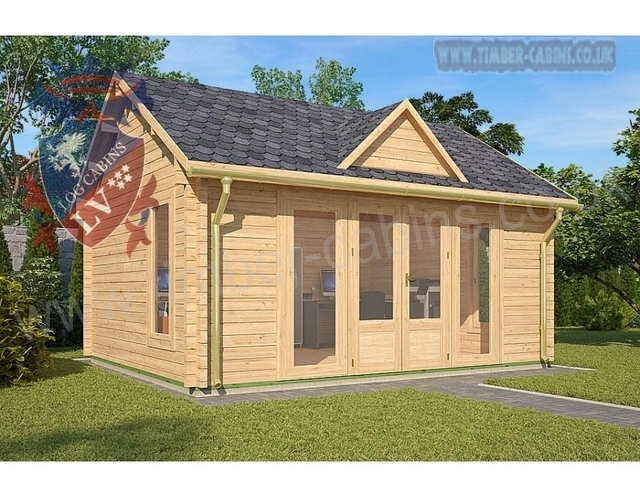 Long windows on the front and side of this clockhouse log cabin give extra light.